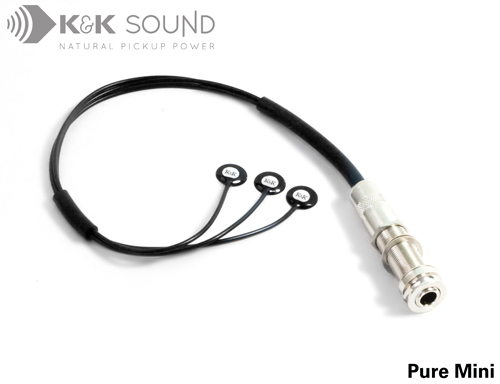 ABOUT THE PURE MINI PICKUP The Pure Pickup is our award-winning, signature pickup for acoustic guitars. Installed on the guitar's bridge plate, the Pure Pickup is the the best choice for achieving a rich, natural guitar sound -- even without a preamp! TECHNICAL SPECS & INSTALLATION NOTES: Pure Mini: Direct installation with superglue gel is required for optimum performance but the system can be carefully removed without damage to your guitar (you may damage the pickup though). 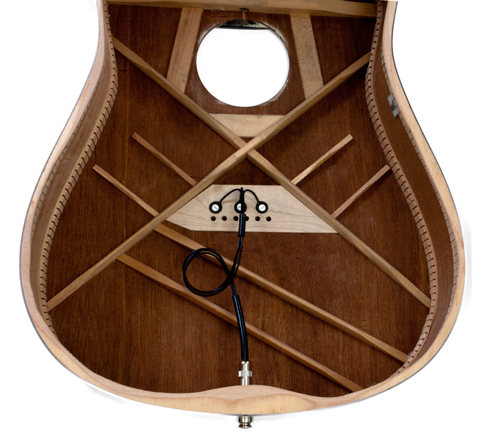 This pickup system will fit all standard steel string acoustic guitars.